Milton Keynes & Castleford Christmas Party Venues. With our private meeting rooms and real snow slopes, we are ideal for business functions, office parties, team-building exercises and group days out. 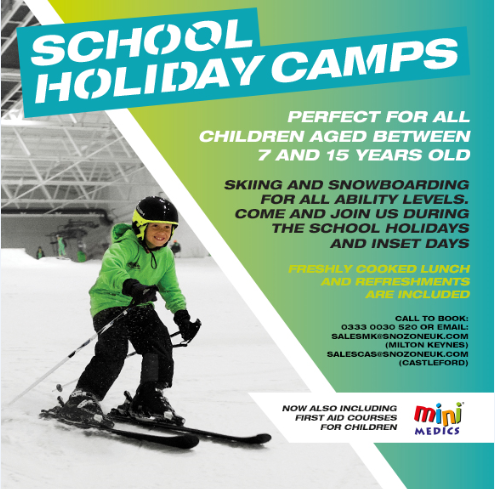 We don’t just do Christmas functions – our year-round snow means you can have a real snow experience even in the summer! Here at Snozone we offer snow sports experiences alongside a far from standard function room party. If you want to provide something special to your hard-working team, then please get in touch and we can tailor the event to your needs. Snozone is made for socialising – we pride ourselves on staging the very best anniversary celebrations, birthday parties, engagements, reunions or simply a team night out to celebrate success. In fact, you don’t need an excuse to have a Snozone party because any day can be a snow party! Remember – Snozone doesn’t offer standard packages that suit us. We tailor it to match your own requirements. We are here for you! For more information please email sales.mk@snozoneuk.com (Milton Keynes) or sales.cas@snozoneuk.com (Castleford) with your name, telephone number and details of your enquiry. We will contact you within 48 hours.